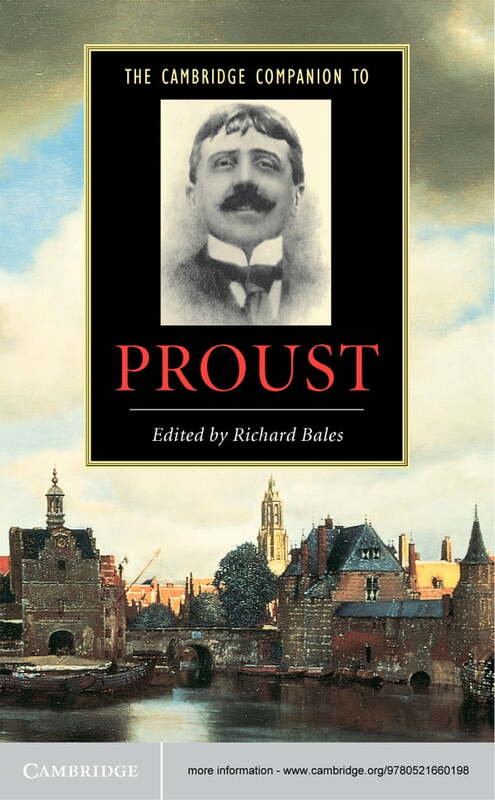 The Cambridge Companion to Proust, first published in 2001, aims to provide a broad account of the major features of Marcel Proust's great work A la recherche du temps perdu (1913–27). The specially commissioned essays, by acknowledged experts on Proust, address a wide range of issues relating to his work. Progressing from background and biographical material, the chapters investigate such essential areas as the composition of the novel, its social dimension, the language in which it is couched, its intellectual parameters, its humour, its analytical profundity and its wide appeal and influence. Particular emphasis is placed on illustrating the discussion of issues by frequent recourse to textual quotation (in both French and English) and close analysis. This is the only contributory volume of its kind on Proust currently available. Together with its supportive material, a detailed chronology and bibliography, it will be of interest to scholars and students alike.